There has never been a greensmower with as much versatility as the new Greensmaster® 3250-D. A large, 3 cylinder, Kubota® 902 tier 4i, liquid cooled, diesel engine making 24.8 hp (18.5 kw) @3600 RPMs, governed to 2750 RPMs, provides the performance needed to use on greens and all areas around greens. Learn about the innovative Toro® Greensmaster® riding greens mower cutting system, allowing greens mowers to cut as low as 1/16 inch (2mm). Learn about the innovative Dual Point Adjustment (DPA) Cutting System allowing greens mowers to cut as low as 1/16 inch (2 mm). 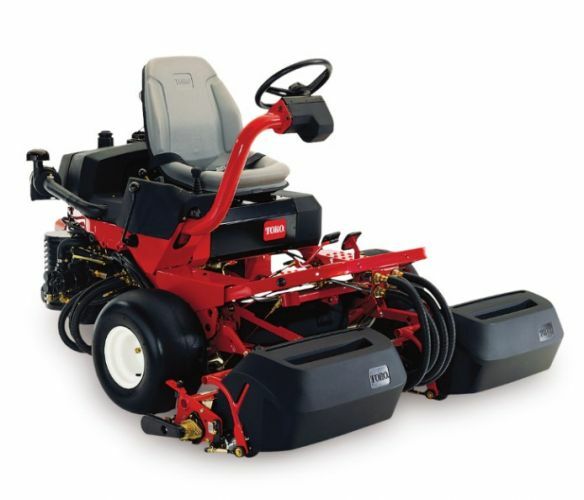 The Greensmaster® 3150-Q is THE QUIETEST engine-powered riding greens mower on the market. The new muffler absorbs more close and long-range sounds than ever before. 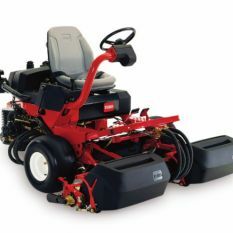 Toro's riding greens mowers are equipped with safety interlock systems. Machine cannot be started if the implement or traction is engaged. Machine can only be started if brake is engaged and operator is seated. Reels cannot be operated in transport speed or without operator in the seat. Leak Detection: The dependable Turf Guardian leak detection system provides immediate audio and visual indication of possible hydraulic fluid leaks.